The 2016 Classic Game Fest is right around the corner, taking place in Austin, Texas on July 30th and 31st. Now in its ninth year, the Classic Game Fest is bigger than ever, expanding from 25,000 square feet in 2015 to a whopping 45,000 square feet this year! Organizers expect over 6,000 attendees at this event, making it one of the largest video game conventions in the country. The Classic Gaming Fest caters to fans of classic gaming systems, featuring retro gaming tournaments, live panels with video game celebrities, costume contests, and live video game music. Over 100 vendors and artists will be present, offering a plethora of consoles, games, accessories, video game art, clothing, and much more! Special guests at this year's show include Warren Spector (Ultima Underworld, System Shock, Deus Ex), Ernest Cline (Ready Player One, Armada), Keith Robinson (Intellivision Productions), and more! If you love video game music and chiptunes, fifteen different bands will be on-hand keeping you entertained all weekend long. Compete against other gaming fans in a variety of tournaments throughout the show. Dress up as your favorite video game character in the cosplay contests. There's so much to do, see, and hear at the show, this is a must visit event if you're in (or can get to) the Austin area for the weekend. The show schedule details all the events taking place both days. Please visit the Classic Game Fest website to learn more about the event! I can't wait! It gets bigger and better every year! I forgot all about this. I had a blast last year, wanted to go this year - but it completely slipped my mind. Edited by PacManPlus, Fri Jul 22, 2016 11:20 AM. ...Al, I think on the main forum page you meant July instead of June, no? It was awesome to have you at the show last year, glad you were able to make it out! Can't wait to see how crazy the show is with 45,000 square feet of space (almost double last year's show!) I am taking a break from this year's show as far as setting up a booth, though. I plan on being back there next year! Maybe you can come up again then. Thanks, Al - and maybe next year I'll have something new to bring again. I'll be in Austin next weekend with my sister & nephew to cheer on a friend's team at the Texas Robot Roundup on Saturday. We plan to attend CGF on Sunday. That would be awesome! I'm planning to have Draconian done for it. That's great! I'm planning on going too, and I *may* have something new to debut also! Next year promises to be pretty interesting! This was a great event last year! The fact that they are even using more space this year for it shows just how good it is and how well attended it is. It was great meeting Al and some some of the guys last year. Maybe I'll attend next year but this year my event will be PRGE. 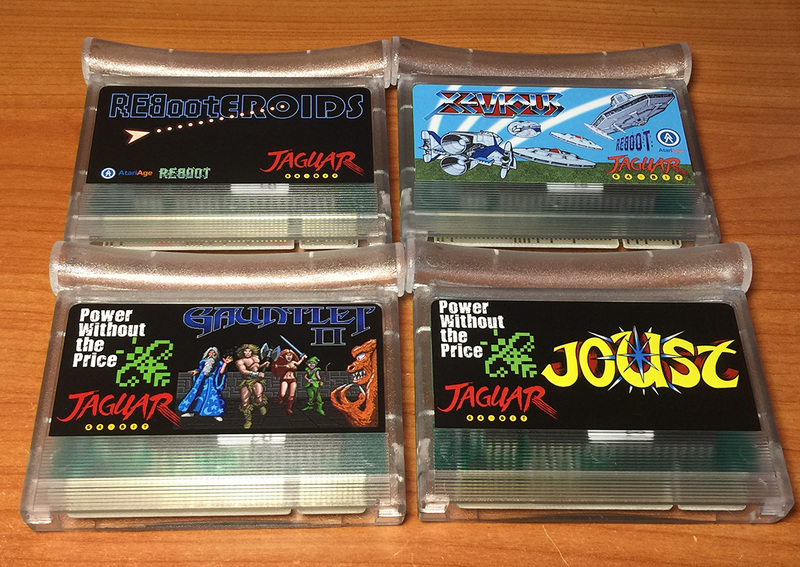 Reboot is going to be there this year with a small booth showing off some Jaguar goodies. Stop by if you're in town. Bummer that Atariage won't have a booth... who will show all those attendees that classic gaming pre-NES is still alive and well? I did see that they sold out all exhibitor booths by the first week in June, so that's pretty amazing considering they bumped the size to 45K sq feet. I'll check out Reboot's booth when I'm there, and hopefully Atariage will have a huge booth next year! Can't wait for this weekend's Classic Game Fest here in Austin! What?? No AtariAge booth this year? Bummer. Oh well, looking forward to AtariAge being back in 2017 then... hopefully with some Atari 8-bit computer system love too! Looking forward to it. Will be posting lots of pics and a couple vids via Periscope on my Twitter account. I see those Jag toolings you bought came in handy! I think BroncBotz will be there too, my son is on their FTC team. And I will be there on Sat and Sun at the Game Fest, my kids loved it last year. Just got back from Classic Gaming Fest. Another great well organized show. 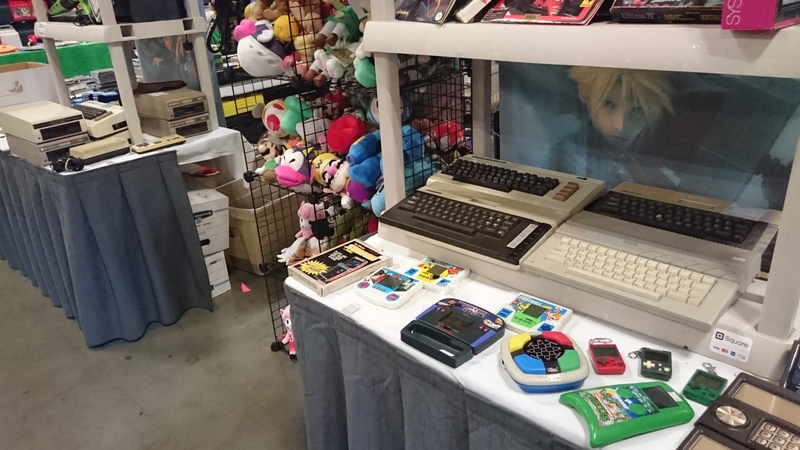 I missed seeing the Atariage booth, so hope Albert is back next year. Saw next years show will be expanded to 70,000 sq feet. They are definitely trying to be the biggest retro event in the country! To think a few years ago these were held at a store location.......... to where they are now is amazing. Yes, 70,000 square feet will be crazy. There will be a large AtariAge presence at the show. It was nice this year being able to actually walk around and enjoy the event! I rarely get to do this! So you are doing an "every other year" approach? IIRC you missed 2014 as well. Al, will those games be available in the AA store at some point? Scored a couple of 800xl's for super cheap (under $5 non-working) at Classic game fest today. Cleaned them up when I got home and one of them fired right up 100% functional! nice. The other one gets no power, so I'll have to work on that one a bit more. Game fest was great again like always! I can't believe how HUGE it has gotten. I remember when it was just a little gathering inside the north Austin Game Over store location. It has really grown up. Passed by that booth, saw all the "defective" 800XLs and Commodores for $4.99, and figured I'd come back and pick one or two up but didn't... now I'm kicking myself. Some of those looked so clean, I'm not surprised one fired up right away for you. That's fantastic that you got one that worked right away. They scaled up the show pretty seamlessly; it was well run and looked to be great attendance. Definitely looking a little more like a modern "gaming" convention vs. the more clubby "retro gaming" conventions -- lower lighting, flashier, slicker. A little steep on the entrance fees and concessions, but there were deals to be had and you could definitely get your money's worth with all the free stuff to play. 70K sq ft next year is going to be AMAZING... especially with the AtariAge booth there!